Lasertripsy for urinary tract stones is a minimally invasive (no cuts) therapy which can be used to achieve complete stone clearance in almost all cases of urinary stone disease. Generally performed as a day procedure under general anaesthetic, a tiny scope is inserted through your urethra (the tube that you pee through) into your bladder. 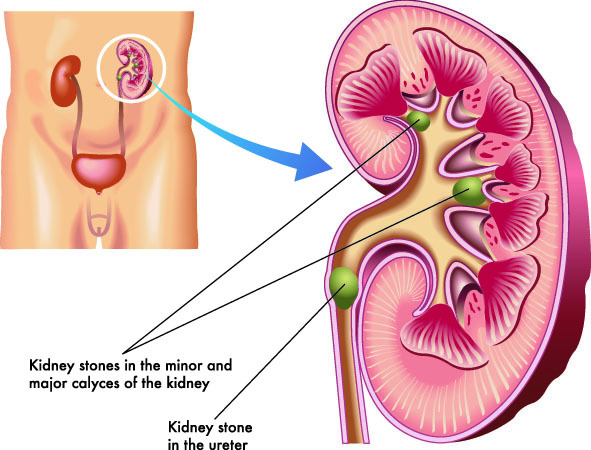 From there an even smaller scope can access the ureter (the tube that drains the kidney into the bladder) and the kidney itself to destroy stones under direct vision using laser technology. After the procedure a ureteric stent will be used to ensure a comfortable recovery and then removed under local anaesthetic a week or two later. If you have a ureteric or kidney stone the specialists at Perth Urology Clinic can discuss with you the best therapy to get you back on your feet quickly and safely.